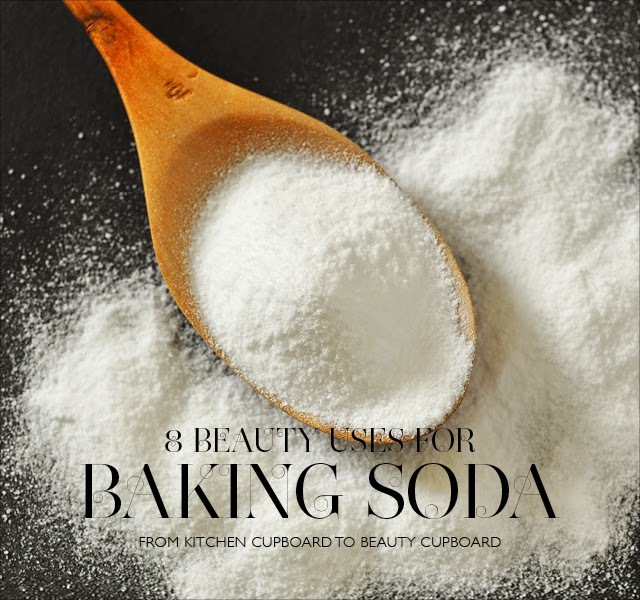 Gently rub three parts baking soda and one parts water on your face in a soft, circular motion to remove dead skin. Just be careful around your eye area and rinse clean with warm water. Use the same solution for smooth hands and fingers before painting your nails your favorite color. For polish-ready nails, dip a clean toothbrush into baking soda and scrub along your cuticles and nails to remove any imperfections. Add one tablespoon of baking soda to one cup of warm water for a soothing solution. Simply rub the mixture on your legs to alleviate razor burn fast. Sprinkle a small amount of baking soda into your favorite shampoo to remove buildup from shampoo, conditioner, serums, and other products. Wash as usual and rinse thoroughly for cleaner, more manageable hair. The same way products build up on your scalp, they can also leave your brushes and combs pretty dirty. Soak them in a solution of one teaspoon of baking soda in a bowl of warm water to remove natural oils and build up. Rinse and dry. End of the day and smelling less-than perfect? A quick dusting of baking soda under your arms will absorb your natural odor to leave you feeling fresh. Baking soda is already an ingredient in many natural toothpaste alternatives. Simply wet your toothbrush and rub it in baking soda for fast toothpaste. However, baking soda does not include fluoride, which helps prevent cavities. Speak to your dentist before switching to a baking soda-based toothpaste. Run out of dry shampoo? Sprinkle a bit of baking soda onto your roots to absorb excess oil. Brush through or rub in with fingers to distribute.